Cameron Porteous is a Ontario-based designer, born in Rosetown, Saskatchewan in 1937. He trained at the Wimbledon College of Art in London, England, and returned to Canada in 1969. He began his career at Vancouver Playhouse in 1972, working with Christopher Newton as head of design for ten years. However, he is probably best known for his long association with the Shaw Festival where he was head of design from 1980 to 1997. 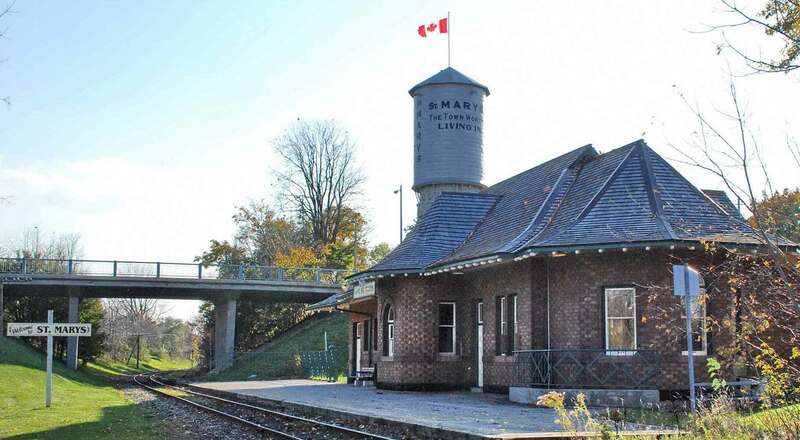 Cameron and his wife drove through St. Marys and he noticed the train station. He was so taken by the opportunity of it being an art gallery that he immediately sought the assistance of a real estate agent to find a home in St. Marys. Since 2016 Cameron has been the light and inspiration for the Gallery. His years of working for the theatre has brought to it a wide-based knowledge of staging, and now instead of theatrical shows, his heart is in supporting local artists and the community.